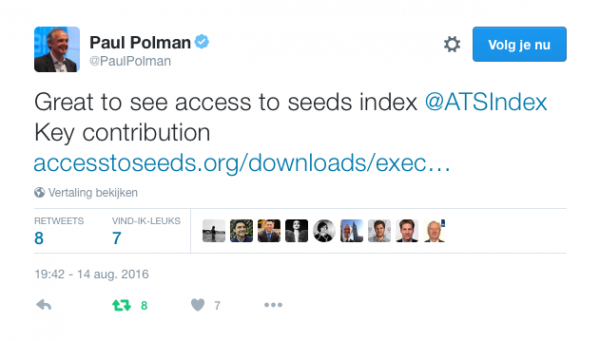 Paul Polman, CEO of Unilever and member of the UN High Level Panel responsible for the Post-2015 Development Agenda that resulted in Sustainable Development Goals welcomed the Access to Seeds Index in a recent tweet. Read what other leaders say about the Access to Seeds Index and smallholder farmer development. Acting on the belief that business can be a game-changer in the delivery of the SDGs, in January 2016 Unilever’s CEO, Paul Polman, and Lord Mark Malloch-Brown, former UN Deputy Secretary-General, created the Business and Sustainable Development Commission. The Commission brings together international leaders from business, labour, financial institutions and civil society to show how, through an evidence-backed case, mainstreaming development can spark unprecedented business opportunities. The Commission will work to articulate and quantify the compelling economic case for businesses to engage in achieving the SDGs. 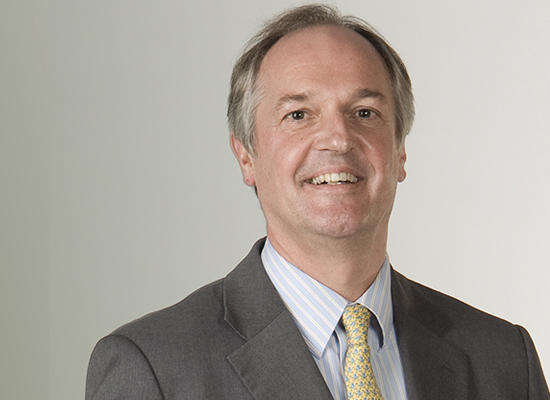 Paul Polman: “There is no business case for enduring poverty. We have an opportunity to unlock trillions of dollars through new markets, investments and innovation. But to do so, we must challenge our current practices and address poverty, inequality and environmental challenges. Every business will benefit from operating in a more equitable, resilient world if we achieve the Sustainable Development Goals.” (Unilever website).